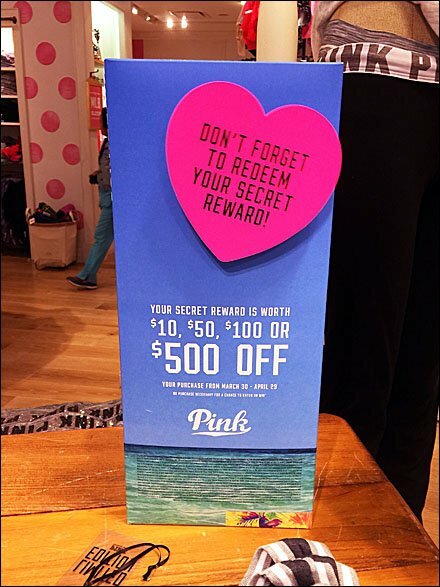 This metronome sign chides “Don’t Forget to Redeem Your Secret…” and given the similarity of branding of the Sister stores, I thought I was in Victoria’s Secrets® not Pink® (or Kansas, Toto). Is the similar branding reinforcing across the Sister stores, or would you have tried to differentiate branding somewhat-to-radically more. Look closely for hints at what the secret reward is.